Young Audiences Northeast Texas has already worked for years with teaching artists and education professionals to create programs that enrich and foster development through the arts for children of all ages. But this year, they have expanded their focus to include another important group of students: the teaching artists themselves. 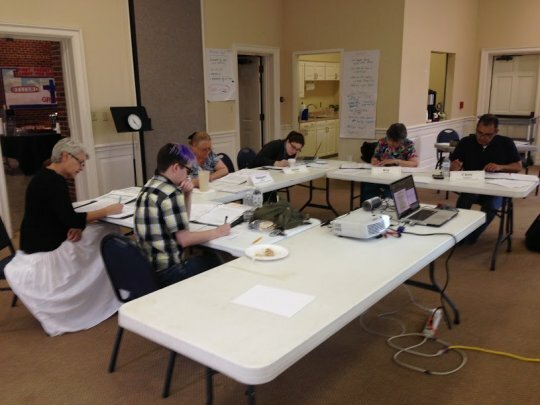 YA Northeast Texas launched the Teaching Artist Training Program in 2014, after being awarded with the Affiliate Development Fund Grant. The ADF Grant provides $25,000 to support Young Audiences affiliates in implementing innovative strategies to strengthen the network and better serve young people across the country. YA Northeast Texas was one of five affiliates awarded the grant, after proposing a program to offer more professional development for the teachers in their network. The Teaching Artist Training Program is a 9-month intensive program that provides more than 50 hours of training, designed to give teaching artists the skills they need to build and present arts-integrated residencies in local schools. The program began in January of 2015, and has five phases. Participants started this winter by attending introductory courses and lectures in arts integration, and now, over the course of the summer, they are engaging in workshops taught by Kennedy Center master teaching artist Randy Barron, detailing residency planning and lesson design. After receiving feedback and evaluation, several teaching artists’ residency programs will be chosen for implementation in local schools in the fall. “They’ll have the opportunity to execute their programs in real time, figuring out what works and what doesn’t, getting feedback from teachers,” said Helen Strotman the Education Director of YA Northeast Texas. Some of the graduates of the program will jump right into arts-integrated residencies in Texas schools, while others will use what they've learned to train other teaching artists. In the immediate future, Northeast Texas will be able to provide more local programs to teachers in their network on a more frequent basis due to the increased number of trained professionals. And in the long-term, they will have a core group of teaching artists who have the skills and expertise to mentor others within the network and at formal institutions. Six teaching artists are currently participating in the program, representing a wide range of ages, interests, and experience. “Some have done performance programs in our catalog but want to know how to go deeper into residency programs,” explained Strotman. “Some have familiarity with our programs but are brand new to Young Audiences.” Their areas of interest range from improvisation to puppetry to theatre to ventriloquism. 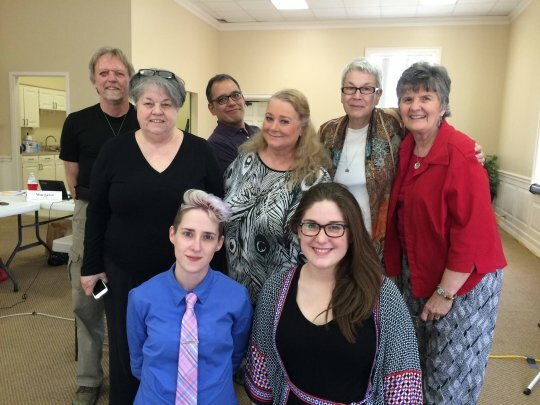 The program has been met with such enthusiasm so far that YA Northeast Texas is already planning for its future – the next group of Teaching Artists will begin the second session of the program in 2017. They will be mentored by the group from the first session, in order to build a network of support between Teaching Artists in the community. Young Audiences Arts for Learning believes in the importance of the arts in every facet of education, and is committed to developing professionals who will instill these ideals in young people. The Teaching Artist Training Program is designed to create the next generation of these skilled educators, dedicated to providing arts-integrated education in schools across the country.